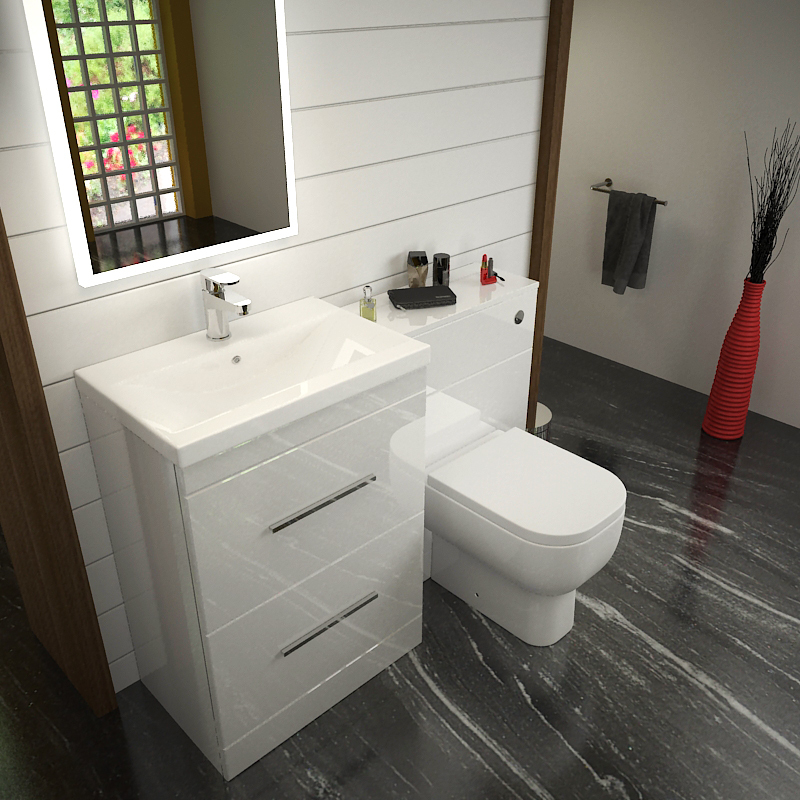 The Patello White Shower Suite is one our slickest bathroom suites. Centered around the contemporary Venturi 1200 shower enclosure, this suite provides the 'right' balance of style and usability. 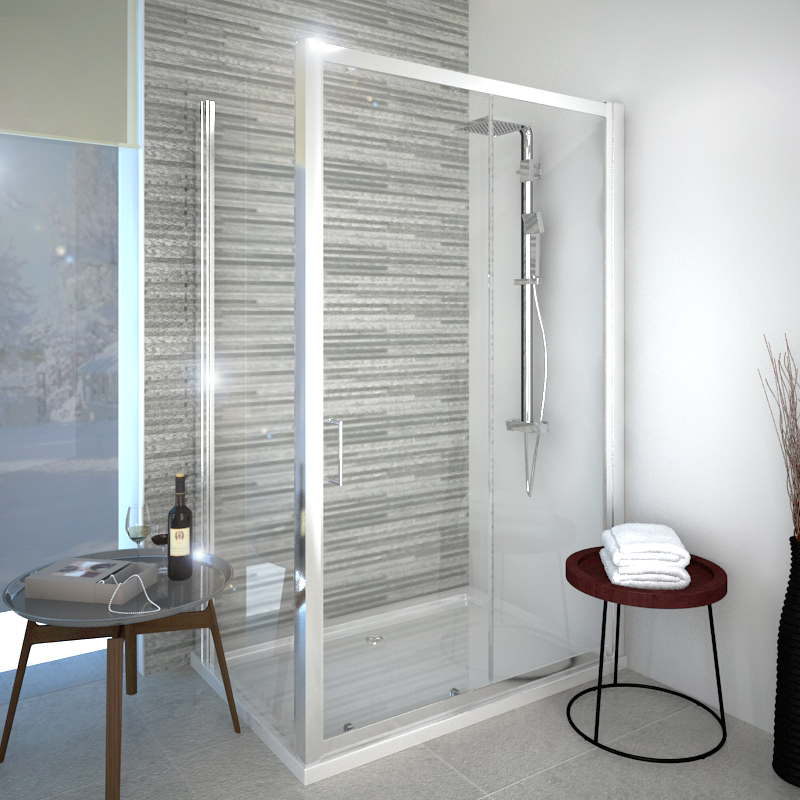 One of the central features of this shower suite has to be the Venturi 6 1200 slider. Featuring a 6mm thick clean and clear glass, this stunning shower door comes with glimmering chrome handles and a lifetime guarantee. Inside is the sleek and elegant BC Square Deluxe Shower and Riser Set. This easy-to-install shower system perfectly complements the Venturi shower enclosure, continuing the modern and minimal appeal that makes it so appealing in the first place. Fixed with 200mm shower head and a corresponding shower hose, this shower system comes with combo-flexible-connectors and a 10 year guarantee. 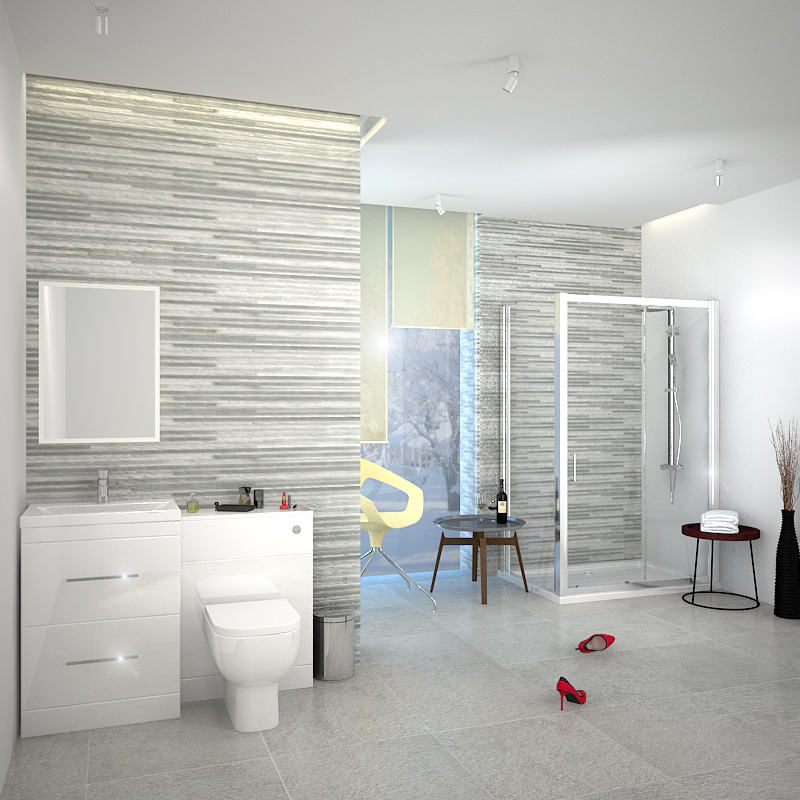 Acting as a foundation for the shower enclosure is the suite's slimline shower tray. Cast from stone resin and featuring a sleek finish, this tray perfectly complements the rest of the shower suite, continuing its modern and contemporary feel. In terms of storage, this suite does not disappoint. Outside of the shower area is the Patello 60 Storage unit that perfectly partners the Patello Btw Unit. Both of these units are strengthened by a high-gloss finish to enhance the sleek feel of this suite. 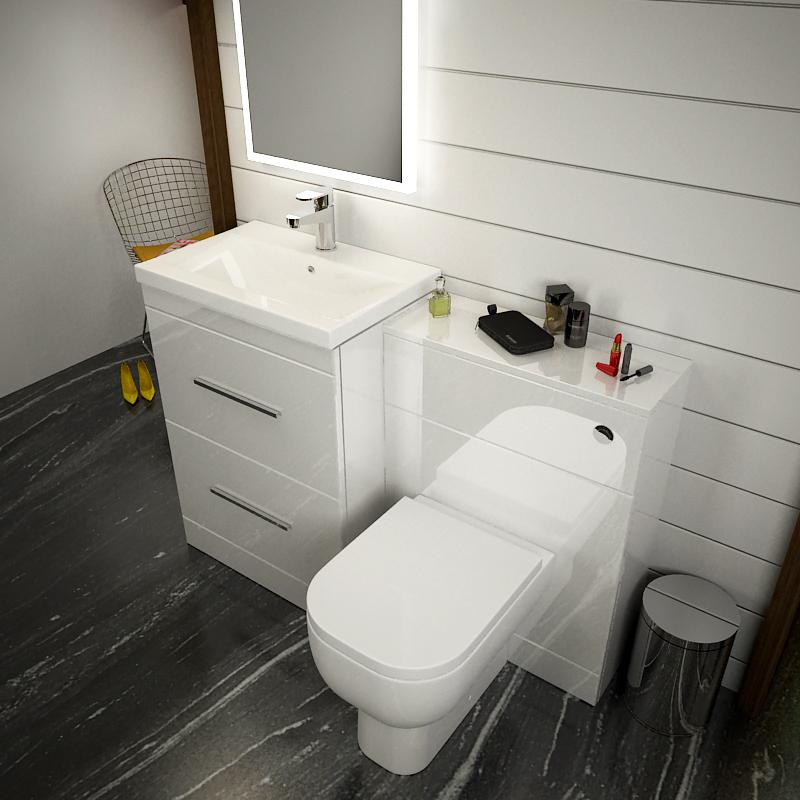 Last but not least is the toilet, featuring a ceramic made pan, a soft closing door, and stunning chrome hinges, this toilet comes with chrome hinges to add the finishing touches on this modern and luxurious suite. Both mono mixer and basin waste are finished in chrome.